This is a guide to completing all the challenges in the Rosewood mission. 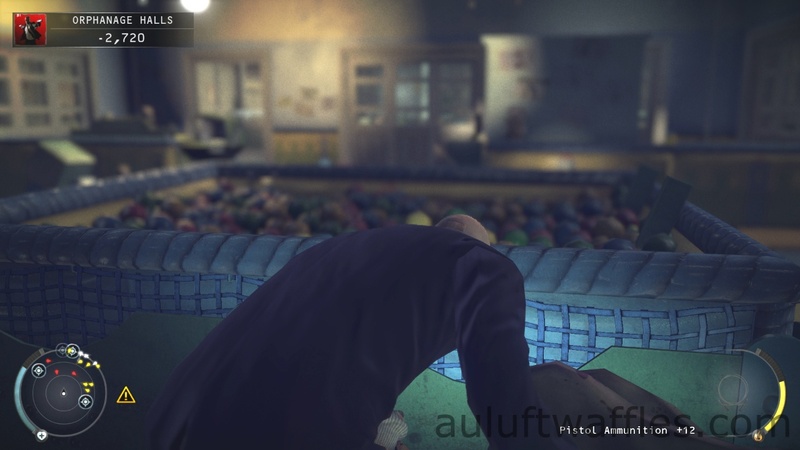 After you have completed all the challenges and did a high score run on the purist difficulty for each part of the Rosewood mission you can expect 311,850 score from the Rosewood mission. The chameleon challenge requires you to find and pick up all the disguises in the Rosewood mission. Then go behind the counter and take the outfit of the dead security guard. 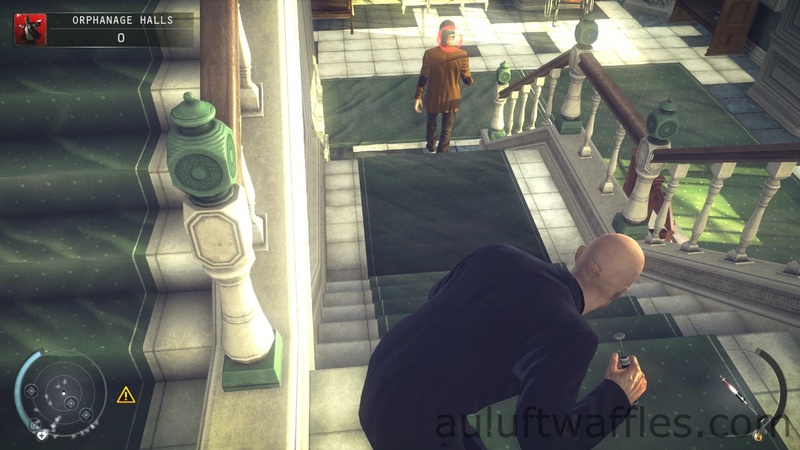 The suit only challenge requires you to get through each part of the Rosewood mission without using disguises. 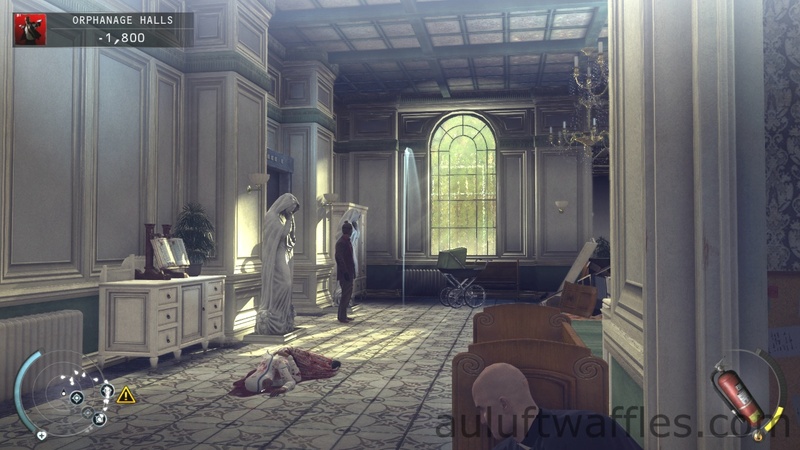 In the Orphanage Halls go around the place and shoot each group of guards. 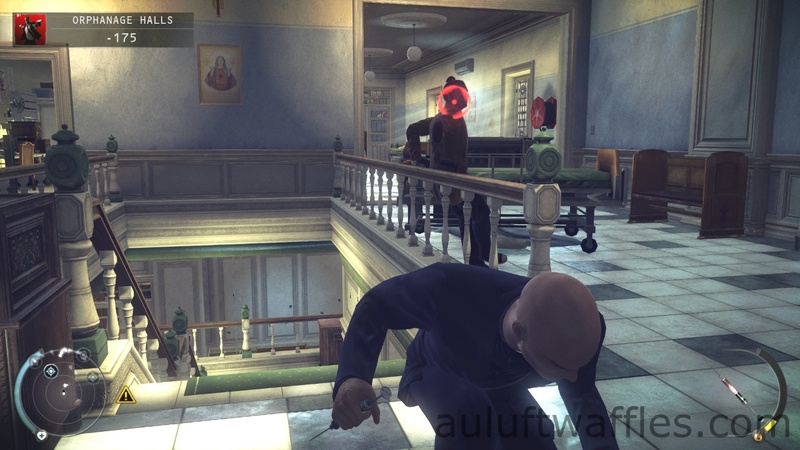 In the top floor you can take out the two guards near the elevator with the pistol without alerting the rest of the guards. You can also just shoot the two guards in the room with the security officer. A few guards will be alerted, but you can easily shoot them as they come to investigate. In the downstairs area sneak around guards as much as possible, but eventually you might be spotted and then you will have to shoot your way out, which isn’t too difficult to do. 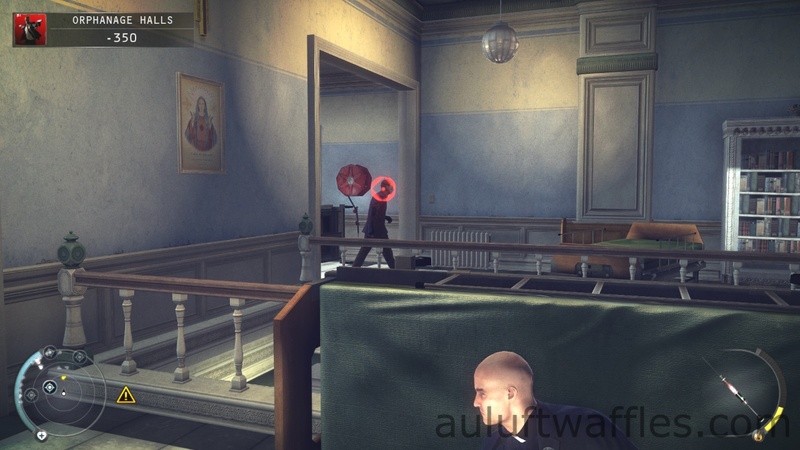 In the Central Heating area you can pick up the automatic weapon on the bed. There are so few guards that you can just shoot them. To kill Wade you can either go through the air ventilation shaft or just walk up to him and shoot him. The good samaritan challenge requires you to save the security guard from the henchman. Start the execution and you will save the security guard. Note that you have to do this near the start of the mission, the henchman will eventually shoot the security guard. The playing with balls challenge requires you to hide 5 henchman in the pool of balls on the lower floor. You shooting the two guards will alert other enemies. This is good as they come to investigate and you just have to shoot them and hide the bodies in the pool. Whilst you are in the animation of hiding bodies enemies can’t hit you. The subtle injection series of challenges require you to kill up to five enemies by throwing a syringe at them without being spotted. Part 1 requires you to kill three enemies, part 2 four and part 3 five. This guide will just describe how to do the third part. For the first two parts just follow the guide for the third part for the required number of enemies, then reload from checkpoint. 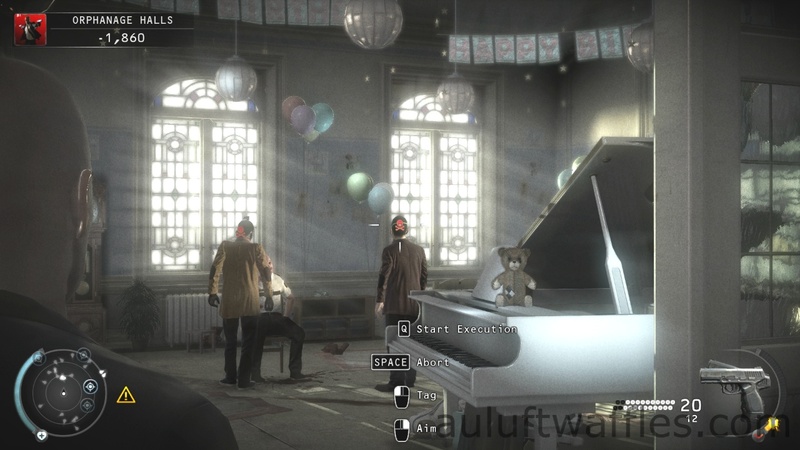 The evidence collector challenge requires you to recover the evidence in the Orphanage Halls and Central Heating. The infiltrator challenge requires you not to be spotted in each part of the Rosewood mission. The out of fuse challenge requires you to collect all the fuses without being detected. The face off challenge requires you to kill wade without being detected. The mercenary challenge requires you to complete the Rosewood mission. Once you have completed all the challenges and the high score run you can expect 311,850 score from the Rosewood mission. That is 81,900 score from the Orphanage Halls and 229,950 from the Central Heating. 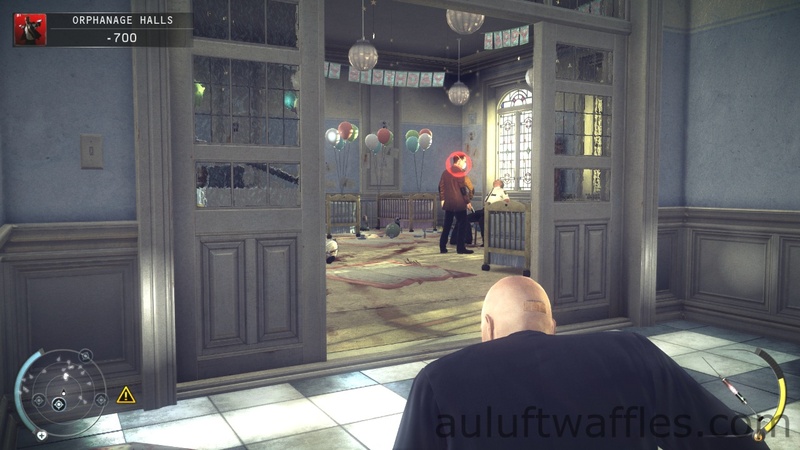 This entry was posted in Challenge Guide, Hitman Absolution Guide, Uncategorized and tagged auluftwaffles, Chameleon, Complaeting Challenges Rosewood, Completing Challenges, Evidence Collector, Face Off, Games, gaming, Good Samaritan, High Score, High Score Run, Hitman, Hitman Absolution, Hitman Absolution Challenge Guide, Infiltrator, Out of Fuse, Playing with Balls, Rosewood, Rosewood Challenge Guide, Rosewood High Score, Subtle Injection - Part 1, Subtle Injection - Part 2, Subtle Injection - Part 3, Suit Only, The Mercenary, Video Games. Bookmark the permalink.